At gamescom 2017, Gaijin Entertainment announced that its popular vehicular combat MMOG War Thunder will soon add a sixth rank for Ground Forces via the upcoming New Era Update. The new rank will feature armoured vehicles from the 1960’s through the 1970’s and introduce new ground combat technologies, such as composite and reactive armour. Besides new post-war machines, the “New Era” Update will add new ground and air vehicles from earlier periods and some new maps. More information is available on War Thunder’s Development Blog. BeQuiet! recently expanded their power supply lineup with the addition of two new small form factor (SFX-L) units, the SFX-L 500W and SFX-L 600W. The new power supplies are fully modular and optimized for quiet operation as you might expect from BeQuiet!. 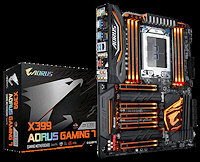 The SFX-L 500W and SFX-L 600W are 80 Plus Gold certified for high efficiency and feature a high-quality 120mm cooling fan thanks to the lengthened SFX-L chassis design. 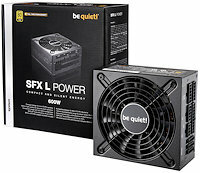 While SFX-L power supplies are designed for use in small form factor enclosures, the BeQuiet! SFX-L power supplies can also be used in standard ATX cases to save room via the included SFX to ATX adapter bracket. However, keep in mind the cables are quite short as these power supplies are mainly intended for Small Form Factor builds. We will be taking a detailed look at the new BeQuiet! SFX-L 600W power supply in this review. There’s a new video showing off the dark, eerie interior of the new map coming on August 29 with the launch of Operation Blood Orchid. Dubbed “Theme Park,” the map is set in a deteriorating amusement park in Hong Kong, where smiling tiger and monkey mascots welcome players to the field of conflict. Proceeding past teacup rides into a spacious hall, players will have to resist the temptation to check out the arcade games and stop for a snack at the concession stands while proceeding to the objective. Gargoyles and mummies await inside what appears to be a haunted house section of the park, as you can see in the teaser video HERE. The Theme Park map will be available for free to all players when Operation Blood Orchid launches on August 29. For more information about Tom Clancy’s Rainbow Six: Siege, please visit the games official website.